NZ On Screen have just put up The Matarki Collection, a stunning selection of Maori related NZ film and video works, curated by Whai Ngata, whose background in NZ radio and television goes back 30 years. He is also the former Head of TVNZ Māori Programmes. The aim is to contribute to the growing cultural footprint of the Matariki Festival, the Maori New Year. Though sometimes controversial as a concept, over the last few years Matarki has become the defacto winter festival for New Zealand, Aoetearoa. As Wikipedia, our trusted stalwart, tells us "Matariki is the name of the Pleiades star cluster, which was important for agriculture in establishing the correct time to plant crops. There are two explanations of the name Matariki: firstly, mata-riki (small eyes) or mata-ariki (Eyes of God). The constellation is also believed to have been used by navigators. The first rising of the Pleiades and of Rigel (Puanga in Māori) occurs just prior to sunrise in late May or early June, and this indicates that the old year has ended and the new year has begun. The actual time for celebrating Matariki varies, depending on the iwi (tribe or clan). Some iwi celebrate it immediately. Others wait until the rising of the next full moon, or alternatively the dawn of the next new moon. It has become common practice for various private and public institutions to celebrate Matariki over the period of a week or month anywhere from early June to late July. Other iwi used the rising of Rigel in a similar way. In traditional times, Matariki was a season to celebrate and to prepare the ground for the coming year. Offerings of the produce of the land were made to the gods, including Rongo, god of potato. This time of the year was also a good time to instruct young people in the lore of the land and the forest. In addition, certain birds and fish were especially easy to harvest at this time." 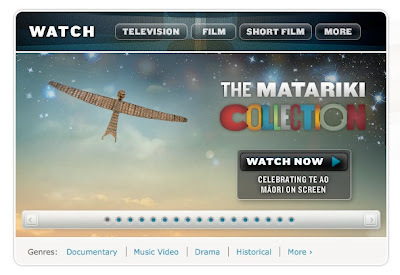 The titles in the Matariki collection include the early 1970s documentary series Tangata Whenua, made by Michael King, Barry Barclay and John O'Shea , and acknowledged as the first time Pākehā television viewers got a significant window into the Māori world. Also from the 1970s, is episode one of the landmark drama series The Governor, which gave a then rare Māori perspective on our colonial history. The long-running TVNZ Māori Programmes' productions Koha, Te Karere, Waka Huia, and Marae also feature in the collection, as does TVNZ's coverage of the Te Maori exhibition and Te Arikinui, Dame Te Atairangikaahu the Māori Queen's Tangi. 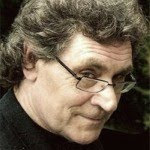 Ngata acknowledges the talent of Māori entertainers on television, by including the work of Billy T James in his collection. He also includes the Māori biography series Pounamu, and the drama series Mataku, which told Māori supernatural stories. New Zealand movies Ngati and Once Were Warriors are also in the collection, and Ngata says of Warriors: "this movie has to be included for highlighting the problem of domestic violence, not only among Māori, but all societies. It gave a very strong message of the huge problem that transcends race and social status."